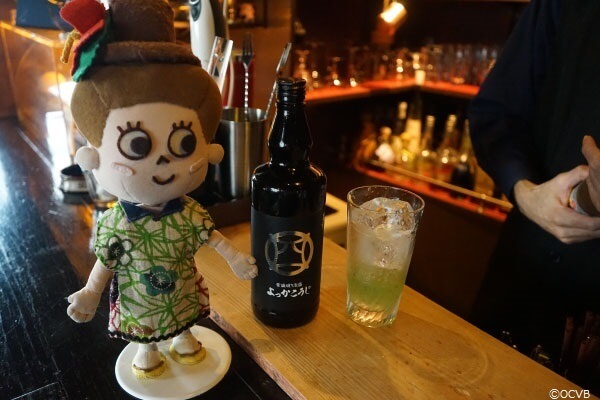 Last year, the 58KACHA-SEA cocktail won the grand prize at an awamori cocktail contest hosted by the Awamori Cocktail Committee in aim of promoting awamori, a type of Okinawan alcohol. 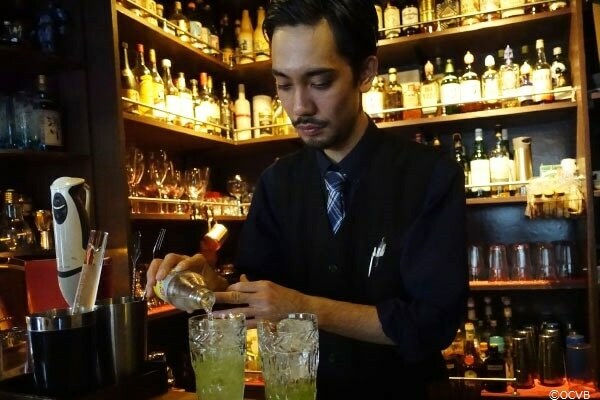 As it is now the season when bitter melon and awamori are both at their prime, I went to talk with the creator of the 58KACHA-SEA cocktail, Ryuji Tamaki, and heard the story of how he came up with the recipe, as well as tips on how to make the cocktail! 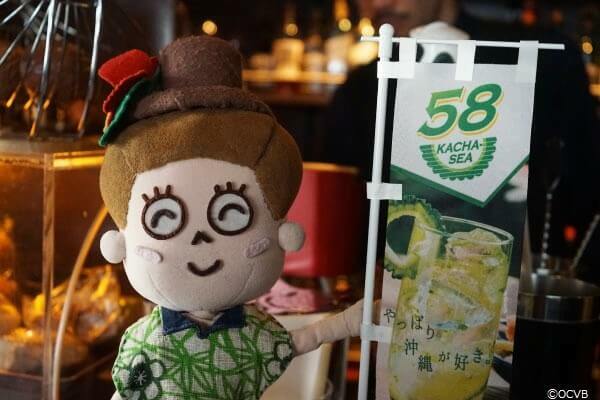 The contest in which the 58KACHA-SEA cocktail won the grand prize chooses its winners based on those which represent Okinawa and are also easy to make at home. 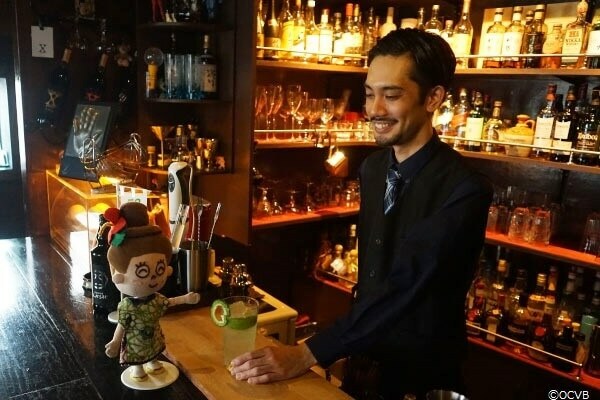 Based on his own extensive experience in cocktail making, Mr. Tamaki decided to make an awamori cocktail using the most typical Okinawan ingredient, bitter melon, and named his creation the 58KACHA-SEA! 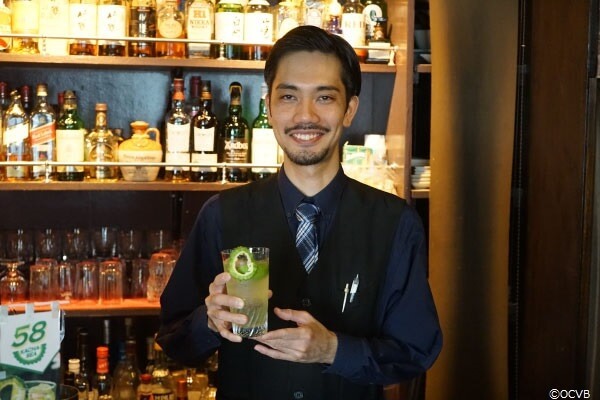 Mr. Tamaki is a bartender in the Kumoji area of Naha City. 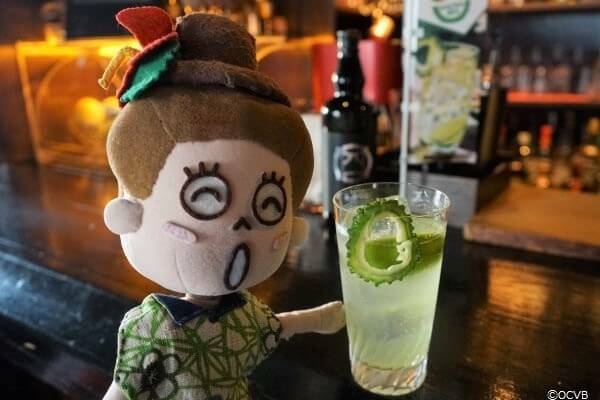 He immediately demonstrated how to make the 58KACHA-SEA cocktail! 1. 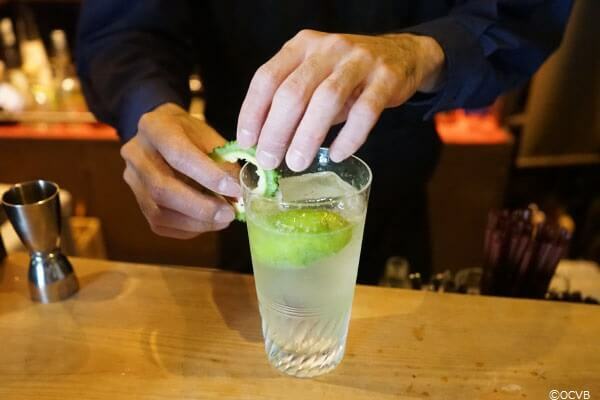 Put some ice into a glass and squeeze in some fresh lime. 2. Pour in 40ml of awamori containing grated bitter melon pulp. It doesn’t make a difference in which order steps 1 and 2 are performed! 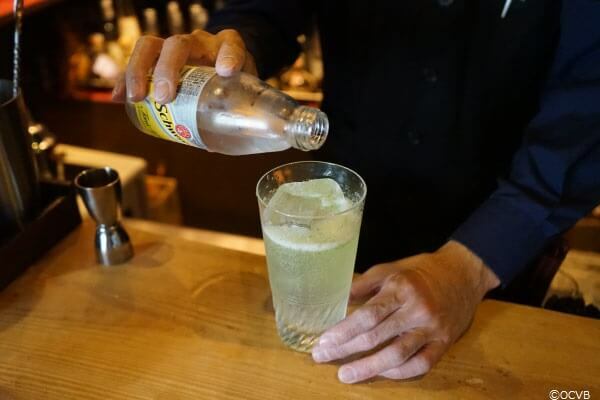 At this location, the bitter melon is left to soak in the awamori in order to infuse the flavor as though they have been blended together, but it is still delicious if you use plain awamori and mix grated bitter melon into the drink. The green color of the bitter melon makes you feel nice and cool. 3. Pour in tonic water. 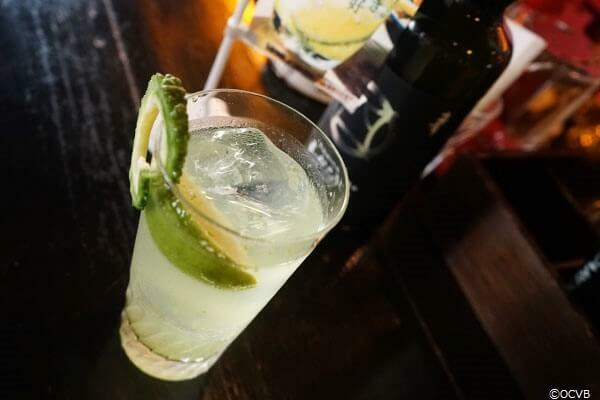 You can really taste the bitterness of the bitter melon, but it is still quite refreshing. 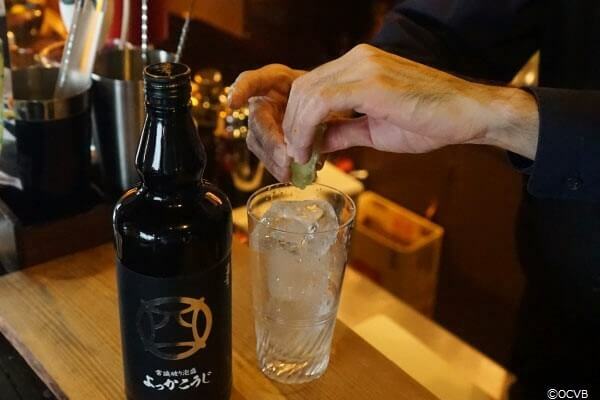 Mr. Tamaki tries to make sure he uses awamori that is 40% alcohol. It seems that the lovely green color of the bitter melon is not as tantalizing if the awamori has a percentage lower than 40%! I was surprised to hear that the alcohol percentage can have such an effect. As long as the awamori is 40%, any type of awamori is fine regardless of brand. 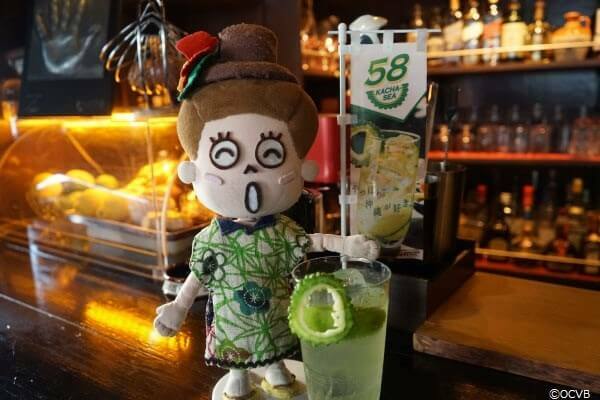 I am happy that both awamori and bitter melon will become more recognizable as household names as a result of the 58KACHA-SEA! 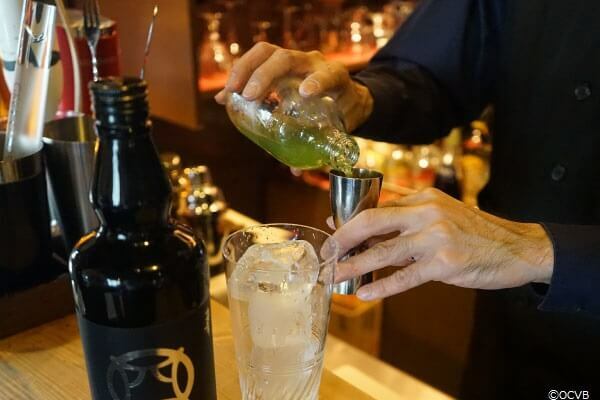 I think this cocktail is easy to drink, especially for people who do not like to drink awamori straight.